What a busy weekend so far! I thought I'd take a couple minutes to share with y'all while recovering from going out to watch the hubby play guitar (I'm no Spring Chicken anymore; I got home at 4:00 this morning, and have been in a zombie-like state all day!) For the record, if you're out till 4AM, and you have 2 young kiddos, the next day is a wee bit demanding. Not recommended unless you have an au-pair or nanny. I'm already planning ways to get my 2nd graders ready for the transition to 3rd grade. Since I'm in a year round school, there isn't an entire summer between grades. In June, they are 2nd graders. 4 weeks later, in July, they come back as 3rd graders. 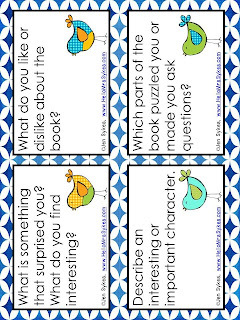 I thought I'd work on their responses to reading, so I created a set of task cards full of prompts to use when responding to reading. A couple of my green beans just need me to give them the list, model it once, and they'll do great. Most of the class will require a couple weeks of mini-lessons, and do fine. And then I have the *very* small group who requires me to do everything but hold their pencil - they are the challenge. There will be modifications for this group, including: tell your response to a listening partner before you write your sentence, limited topics to choose from, and write 1-2 sentences instead of a paragraph. Since y'all are such an amazing group of teachers, here's a freebie! 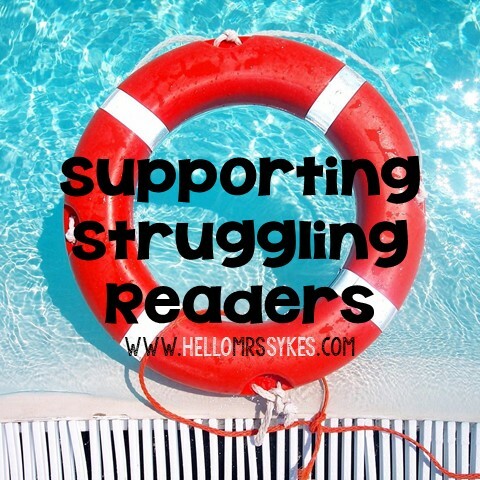 Remember to leave me some feedback, and consider following my blog and store if you don't already. 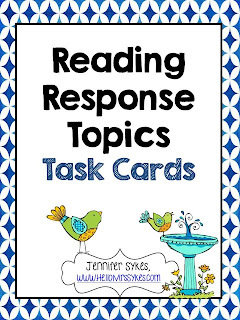 Click the links below for a Reading Response Freebie! Enjoy! !